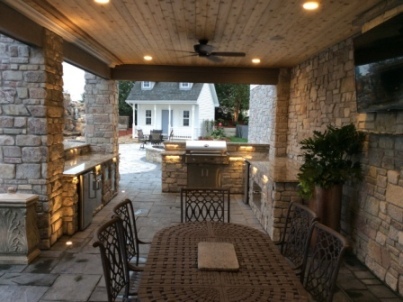 Imagine hosting your next dinner party at your own outdoor kitchen and bar! Elite Landscaping can enhance your outdoor living space with a new outdoor kitchen and bar - the centerpiece of any outdoor entertainment center. For more than a decade, we have helped homeowners in Omaha, Nebraska and Lincoln, Nebraska build their dream backyards. Our experienced crew specializes in backyard kitchens and bars, concrete pools, pool houses, paver patios, and more! 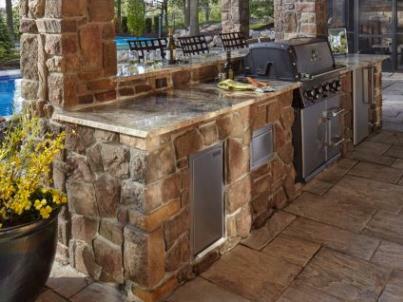 From poolside grilling stations to built-in patio entertaining areas, your custom outdoor kitchen and bar from Elite Landscaping will be the perfect complement to your outdoor entertaining space. Our outdoor living specialists help you choose from a number of backyard kitchen ideas, and select the best outdoor kitchen designs for your lifestyle. 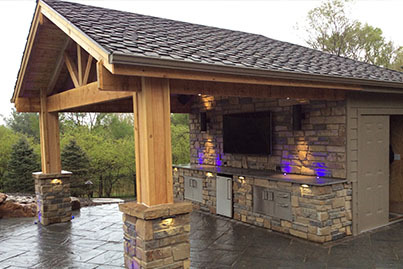 Whether its a romantic, pergola-covered outdoor kitchen you desire, or a fully-stocked, indoor-outdoor room with TVs and extra living space, Elite Landscaping is the design-build contractor that can create the outdoor living space of your dreams. Elite Landscaping is a turnkey design and build contractor for clients in Omaha, NE and Lincoln, NE. We specialize in cabanas, pool houses, finished three season rooms, and can even transform your underdeck areas and patios. Elite Landscaping uses quality building materials that are customized to your space, taste, and lifestyle. We ensure our outdoor kitchens are structurally sound; built to last the lifetime of your home. 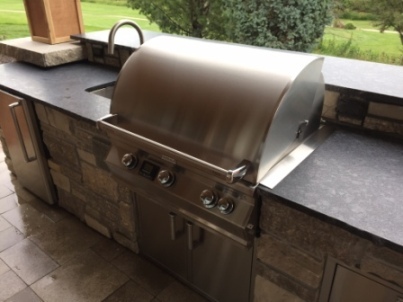 Elite Landscaping's outdoor kitchens are virtually maintenance free because they are built on frost footings with a concrete block structure, and never contain wood or other materials that will rot or weather easily. 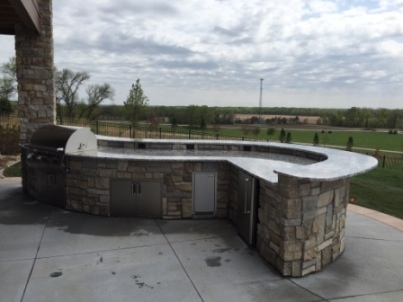 The possibilities are endless when it comes to your outdoor kitchen and bar finishes. 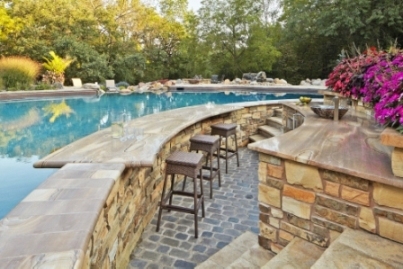 Your freestanding outdoor kitchen and bar can be designed to perfectly blend with your custom concrete or paver patio. Beautiful, natural stone can enhance outdoor kitchen islands, and granite countertops are always a showstopper. Stucco outdoor kitchens and bars are durable, elegant-looking, and designed to accentuate your home and outdoor environment. 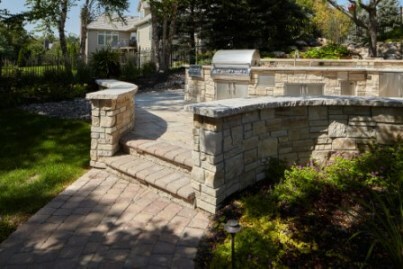 Contact Elite Landscaping to Start Building the Outdoor Kitchen of Your Dreams Today!